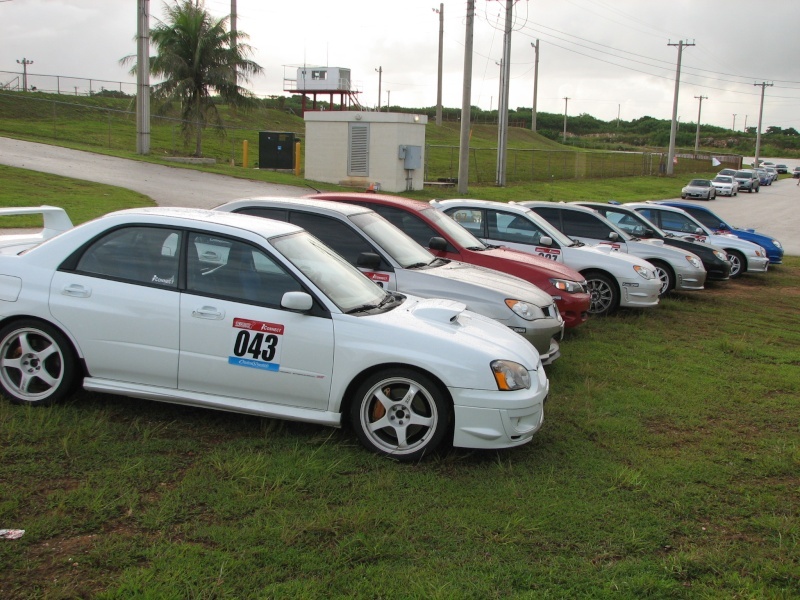 For All Subaru Owners on Guam. Thanks for the comments and great attendance that evening. Huge thanks to Eric and all who participated. Glad we got some questions answered. Time to rally and pool all our SCG efforts for placing in each class! kevin6192 wrote: Hey guys, don't think I will be able to make it this Sunday. Just remembered I have a research paper due. Might be able to just stop by though. Have fun! clayton brought up a topic in class this one day, but the teacher was like NO haha. Nice! a little competitiveness helps increase membership to both parties. There were a couple Mitsubishis at autox yesterday which is always nice to see. Ed, Michael and DJ did a good job as well! The SCG is a very solid and stable group. The GRSCCA is proud to have you guys support our races! See you all in round 2! Location : In Front of You! My car is out of the shop! I'm not sure bout the next race due to tire issues. But if I get some tires in before then imma be out there! Regardless I will be there cheering! I think I was the only cheerleader.. Perhaps even too loud! Haha! ceo1 wrote: My car is out of the shop! you better be on the next race iron chef we dont need you cheering anymore. D, you don't need tires right now, you already have some on your wheels. Just race and accumilate some points and join us. after all it's the big race, you don't wanna sit this one out because of tires. Do it for the support and for fun, like they always say, build driving experience before upgrading. I'd love to Darrell but here's the dilemma. I have my 18" Rota's which have Nankangs, I don't mind using these tires because I have already used em. Problem is it will place me in ST because of it. My stock rims are fitted with Nankangs as well. They are almost brand new so I plan to sell them to partially fund my new tires. If I race em, they will not be worth as much as now, especially since they wear real fast. Finally, if I do join in ST class, and use up the Nankangs on the Rota's I will need new tires by the end of the season (cruising tires). This will cost me double since I will still get tires for my stocks (race tires). Basically, my funds are pretty dry so this is not a great option. can we still join even though we missed the 1st race??? dhonn17 wrote: can we still join even though we missed the 1st race??? Of course... Everyone was waiting to see your `09 in action...27th will be your day! No worries if you couldnt make it (we all have our priorities)...please do try for the upcoming races (4 left)..we need your support, the more people the better for the sport...Your helmet should fit snug and not loose..you do not want it shifting on your head and blocking your vision while racing, plus the more comfortable you are the better..Squeaks are normal during braking forward or back...My brakes have a knock when braking...But if you are not sure and it dosent sound normal...have it checked. Awesome turnout SCG and congrats to Josh and Jesse, sorry I had to leave early but the commander "wife" needed me to be in place by 1700. 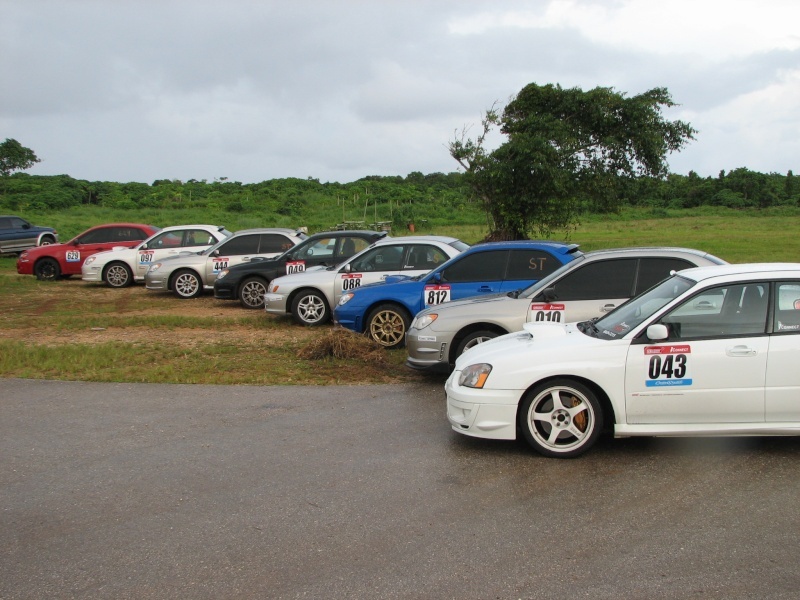 Again thank you all for supporting SCG and GRSCCA had a lot of fun and looking forward for the following Sunday. Only the STI is automatically in ST. Tech people technically are not supposed to tell the owner/driver what class they would belong. This is not their responsibility the driver/owner is supposed to reasearch and know what class they fall into.